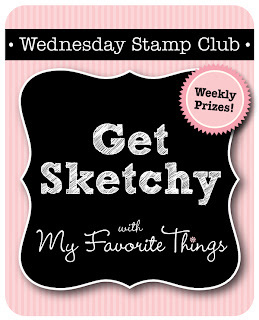 It's time to get sketchy with the MFT Wednesday Stamp Club and sketch 80. Can you believe it??? Eighty sketches??? Wow!!! Seems like it wasn't that long ago that MFT started the weekly sketch challenge, and I, for one, am super happy they did! Thanks MFT!! 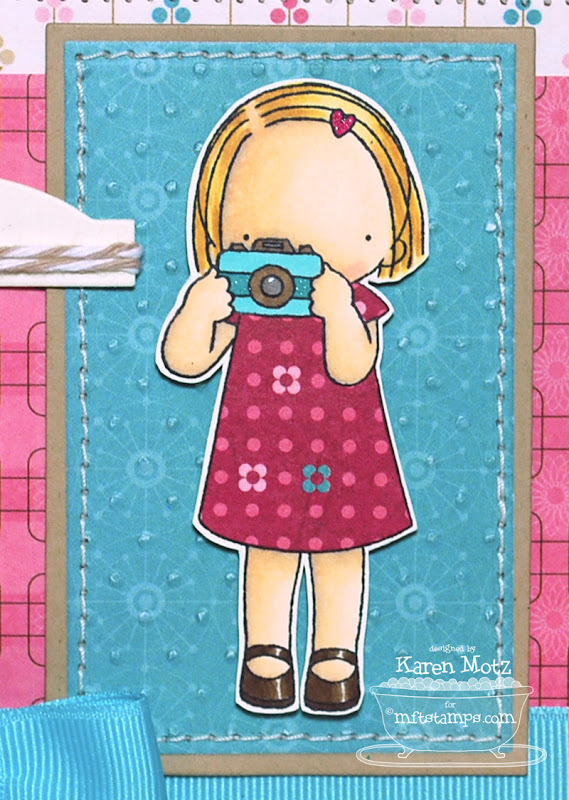 I used the sweet new Pure Innocence Little Shutterbug for my card today, along with papers from the Bo Bunny Sweet Tooth collection. I was a little skeptical about the sketch at first because of that horizontal tab, but I like it. It's fun to do things "out of my box" every once in a while, because I would have placed that tab vertically along the edge of the image panel. 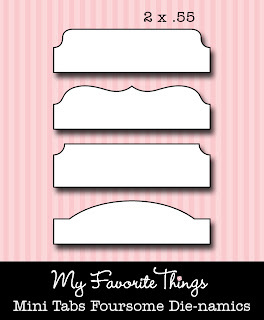 By the way, I used the Mini Tabs Foursome Die-namics to cut out that cream tab and wrapped it with Flax twine. I added Fossil card stock accents to tone down the patterned paper, like the scallop border which I cut out with the Simply Scallops Medium Die-namics. I added some Berrylicious grosgrain ribbon to tie in the blue. Isn't her little paper pieced dress adorable!! And if you look closely at the camera you'll see that I used clear glaze pen on the lens and a spica glitter pen on the darker blue strip. 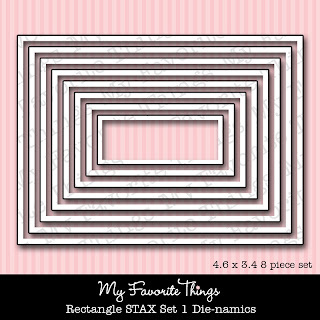 I used the Rectangle 1 STAX and Rectangle 2 STAX Die-namics to cut out the image layers then stitched them together. On the inside I stamped her again with Memento Lilac Posies and added another sentiment from the set. I think I'll tuck this card into my birthday card stash. There's a prize each week for one participant, chosen at random. You may use any stamps and supplies that you wish. 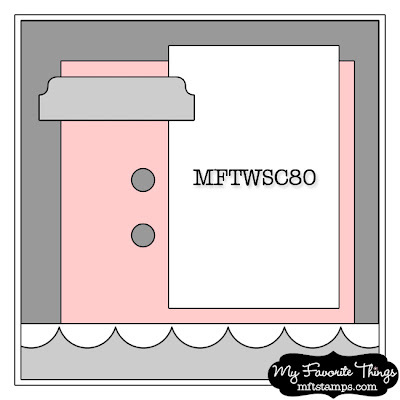 Each week a keyword is assigned to the sketch, and this week's keyword is MFTWSC80. All you need to do to enter is upload your card to the gallery at Splitcoast and enter the given keyword in the keyword box during the upload process. After the deadline (noon Eastern on Tuesday) we randomly choose a winner from that week's entries and the winner will receive a $15 gift voucher. If the winning card uses MFT stamps, the participant will earn a $5 bonus, for a total of a $20 gift voucher! Love the bright cheery colors! Very cute! Your photo does not do it justice - it is SUPER sweet in real life! Love, love, love it...and that bow? Swooning! Yup, I would have been tempted to put the tab along the side too! But you're right, it's good to try new things and this turned out super cute! 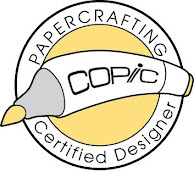 I love your selection of papers and her dress is so perfect paper pieced. It's much more fashionable. She is as cute as can be! 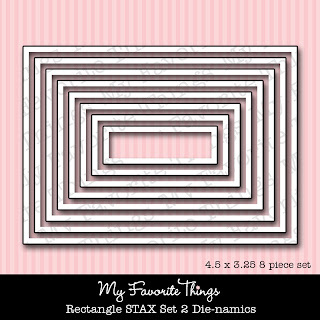 LOVE these papers and the twine wrapped around the sentiment panel!! Ham it Up, Cutie Pie!